Since your child is already enrolled in the school system, you need to let them know you are planning to homeschool. You can't just drop out and hide. And you can't call in sick for the rest of the year. Even if you just plan to "try it out", you need to follow protocol or risk being charged with truancy. Write a letter that states your plans to homeschool your child beginning immediately (include the date). Keep a copy of that letter and send it certified mail, return receipt. After you have done this, it is usually up to the school system to follow up with any additional questions. If your child has an IEP with the school, expect that you may be contacted sooner, perhaps even by phone, to discuss your plans. Remember, homeschooling is legal in all fifty states, but, there is no one homeschooling law: some states are known to be very "lenient" with homeschoolers, others require more documentation. Learn your state's laws so that you can anticipate what kinds of things your school system may ask for, but also learn what things your school system is not legally allowed to demand. To get started, go to Google and search "homeschooling in (your state's name)". I've attached a few links to get you started. Please note that some links will send you to specific homeschooling groups that may be affiliated with a religion but their general information looks pretty sound. Another great resource that you shouldn't ignore are other homeschooling families. When I was first starting out, I had no idea that anyone in my area homeschooled but have since met dozens of families like mine. If you can't pick up the phone or email someone you know, look for local message boards that can put you in touch with people who can help walk you through the first steps. In Massachusetts, we have an active Yahoo! Group called the Massachusetts Home Learning Association. Before you ask a question though, search the archives to see if your specific question has already been asked. And, check out their "Links" for info on how to get started. We also have many regional groups that have put me in touch with people in my immediate area. One big mistake some people make is that they think they need to be 100% ready to start teaching from day one. Chances are your "50% ready" is a good place to start. Most homeschooling veterans will talk of "deschooling", a period of transition where you both get used to your "new normal" and discover how your "homeschool" will work best for you all. Dig out board games, puzzles, books, crafts and leave them out for your child, and you, to discover. Cook together. Take long walks or visit museums during the regular school day. Go to the library. Find other homeschoolers and make plans to get together. Use this time to put together a plan and to gather resources. I know very few, if any, people who buy one "soup-t0-nuts" curriculum---most of us build our own curriculum using things we have in house along with programs from outside sources. 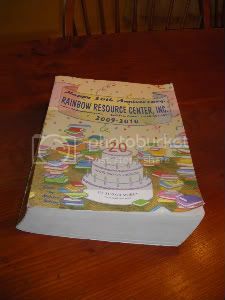 One great resource to have in hand is the Rainbow Resource catalog. If nothing else, it makes a great doorstop and will put an end to any fears you have about not being able to find enough material in a certain subject. My favorite resource are those homeschoolers with older kids who have assured me that I'm "doing it right" and have told me to stop hyperventilating. These people are online writing blogs. They are in my town and state. It may take a little bit of effort to find them, but do it. Even if you aren't the kind of person to email a stranger, I have yet to meet a homeschooling parent who isn't willing to help a newbie out. Find the books of authors like Linda Dobson, Rebecca Rupp and John Holt. Read them. You will walk away feeling empowered, not powerless. The optimist in me used to chirp, "anyone with a library card can homeschool!". Homeschooling takes sacrifice and work. There are times I am beyond ready to flag down the first yellow school bus I see. I've spent loads of money on curriculum that I don't use or need. And, no, the school or state will not reimburse you for the money you spend to educate your own child (at least not here in Massachusetts). I am not "so patient" or "so smart" or "so" anything. But, I do like being around my kids. I love learning with them. I hate the MCAS. And I really hate rushing to get my kids out of the house early in the morning. For us, this is enough. Maybe your reasons will be enough for you too. If any homeschoolers would like to chime in with their experiences, especially in states outside of our home state of Massachusetts, I'd love to hear from you. I love homeschooling my kids, too. My oldest is in school and that works out very well for us, but I HATE rushing her out of the house in the morning. HATE HATE HATE. Excellent article! I'd like to encourage people to not be dissuaded by those who play the "socialization" card as a reason not to homeschool. All of the homeschooled kids I know are much less likely to stare at me as if I had 3 heads when I talk to them than all of the public school kids I know. They interact much more freely with kids of all ages, as well as adults. People have reacted with surprise when they find out that my daughter was homeschooled, because she "seems so normal!" While I agree that obviously you need to comply with your state's laws governing homeschooling, I would encourage parents to learn and understand those laws well. Some school districts are great, others - not so much, and they will try to make you meet additional requirements, some of which can be outrageous. I've had to "educate" our school district on a couple things that they had wrong. Know the law well, and don't be intimidated. That Bobbie Girl: Great point on socialization. I challenge anyone who thinks homeschool kids are "weird" to a) spend the day with my kids; 2) try to remember if there ever were any weird/shy/aggressive/depressed/eccentric kids in your public school. Kids come in all stripes, homeschooled or not. It's not for everyone but you've proven that when you do it right, homeschooling is a great alternative to more "traditional" education choices. I love the picture you posted with this! It exemplifies the freedom I feel as a homeschooler (most of the time). 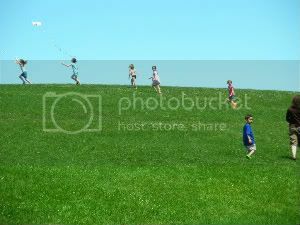 The ability to take a bunch of homeschoolers kite flying on Castle Island on a gorgeous spring day (yes, a school day) just BECAUSE it is nice out is priceless. When people say they're "missing out" on certain things by not being in school, I like to think of days like this and what school kids are "missing out" on. Yes, it's hard, but you don't have to have saintly patience or super organizational skills (although the willingness to work on these is nice). Just a desire to be with your children and to give them time to just be a kid. I came over via your blog, which is on my Must Read list. I am a homeschooler too, and wanted to mention the Home School Legal Defense Association, which has summaries of all the state laws, and lots of helpful articles. I would enjoy reading more about your homeschooling exploits - do you have a separate blog about it? I realized today that I am not really a "newbie" anymore! Almost a full year since I pulled my eldest out of public school and then (a month later) my middle child!! Amazing. And I'm not super patient or brilliant or anything like that. But I do like my kids (most of the time) and I do like not having to rush through their childhood simply to meet the time clock of the public school. Why, just tonight, when my son realized that tomorrow we "Start" school again, he decided to get half of his schedule finished BEFORE BED so that he could have more free time tomorrow!!! Love it. LOVE IT. I'll say this: Homeschooling 3 isn't any harder than doing homework with 3 tired kids in 1-2 hours while cooking dinner and trying to fit in a sport or scout meeting before trying to bathe them and get them to bed early enough for them to be able to survive being pulled from bed before they're done resting. No way. I still give props to any mom who homeschools her children and actually teaches them the necessary skills to function in todays ridiculous society. I love spending time with my kids too, even though they are gone all day homeschooling is just not an option for me. Reading about is still intriguing. Well, I'm bookmarking this article for future reference. I just found out that Lucas will likely be in afternoon kindergarten this fall, and Phe is slated for morning preschool, so that means that these best buddies will barely see each other two days a week. I'm brewing an ulcer thinking of our pick-up and drop-off schedule and OH NOOOO! Deb, thank you for such a nice comment---I've been very lax about blogging since the holidays (the Thanksgiving holiday, that is!) but I do hope to put more homeschooling info on Fairly Odd Mother. I don't have a separate homeschooling blog though. If you look for those posts with the "homeschooling" tag, it'll at least narrow things down a bit. My name is Diane Kilpatrick and I am the Forest Trail Academy Regional Director for ME, VT, RI, & NH. Please go to our website at: foresttrailacademy.com We are a fully accredited on-line school partner. We provide K-12 cirriculums that are aligned with state, national & international standards for university and college acceptance. Give me a call anytime and I will sit down with you and show you the school. Call me and I will walk you through a demo. Highest Standards Home Schooling. Check us out, then call me!